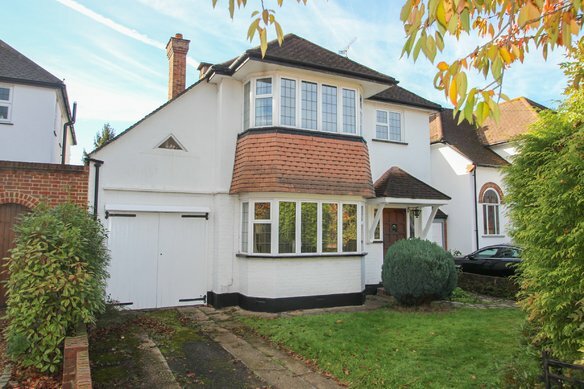 Situated in one of Cobham's premier roads, a detached family house which has undergone extensive refurbishment and is set in delightful landscaped gardens of nearly half an acre. Situated in this tranquil private road approached through automatic security gates, The White House boasts well proportioned accommodation and has been designed to blend with the surroundings to get maximum benefit from its gardens and wonderful woodland outlook. The mature garden offers seasonal colour throughout the year, including a beautiful David Austin rose garden. The internal accommodation is laid out over two floors. 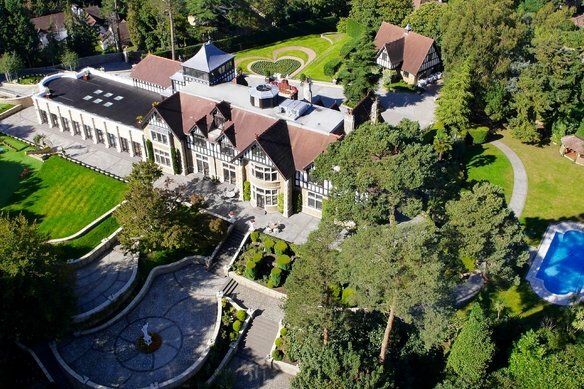 From the entrance hall, accommodation includes a double aspect drawing room, a formal dining room leading through to a bright conservatory which has doors opening to the garden. The sitting room is open plan to the study and the kitchen/breakfast room/snug (with oak floors and under-floor heating). The luxurious Martin Moore kitchen has a range of wall and base level units, granite worktops and fitted appliances. Bi-fold doors open onto the garden and the ground floor accommodation offers versatile family living space. The first floor accommodation consists of the master bedroom with luxurious en-suite bathroom with a feature cast iron bath, oversize walk in shower and sanitary ware by Drummonds of London. There are four further bedrooms, all of a good size, one of which has an en-suite shower room. The family bathroom is well appointed with a freestanding Victoria & Albert bath. The mature landscaped gardens have been beautifully cared for and include a Summer House. There is a large lawn, a full width terrace providing for alfresco dining underneath the pergola with awning which overlooks the heated swimming pool. 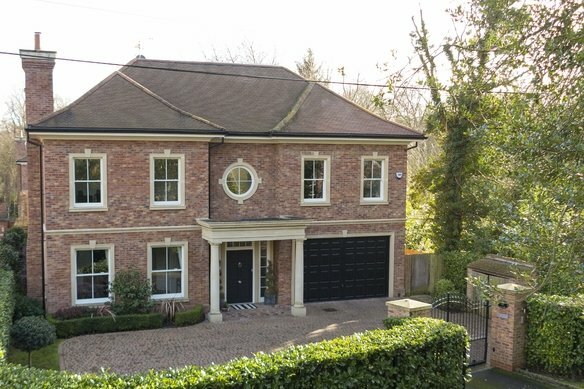 The detached double garage is situated to the front of the house adjacent to the rose garden. 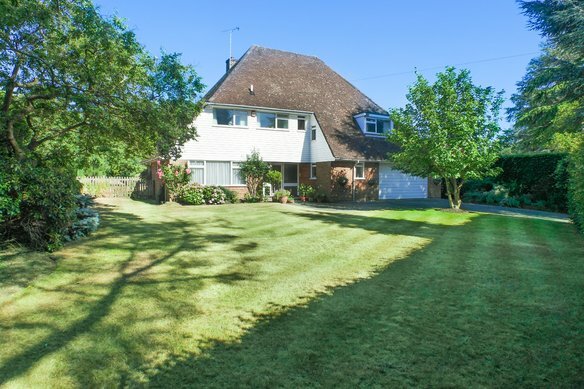 The property is well screened from Sandy Way with a mature hedge and offers of-street parking for several vehicles. 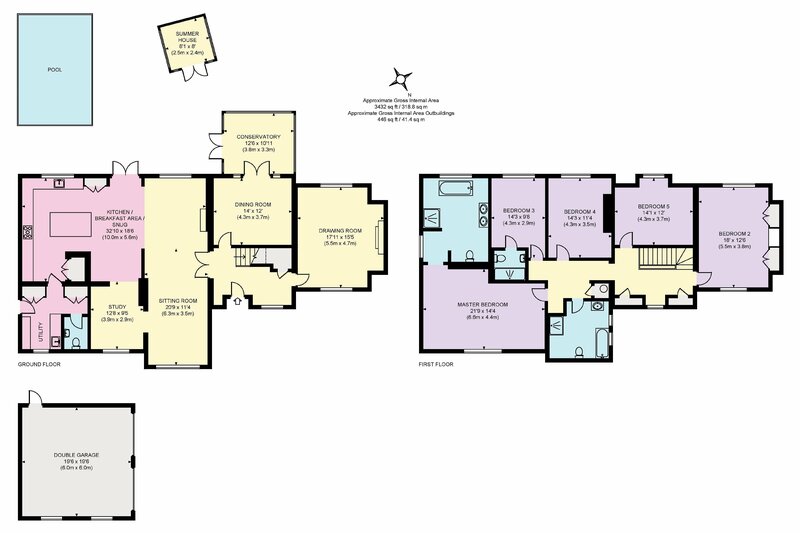 The White House is very well positioned for many of Cobham's excellent schools, with Reeds School being a very short journey of just a few hundred metres further along Sandy Lane. There is alternative access via footpath also from Sandy Way. Oxshott Railway Station can also be accessed via footpath through Oxshott Heath. 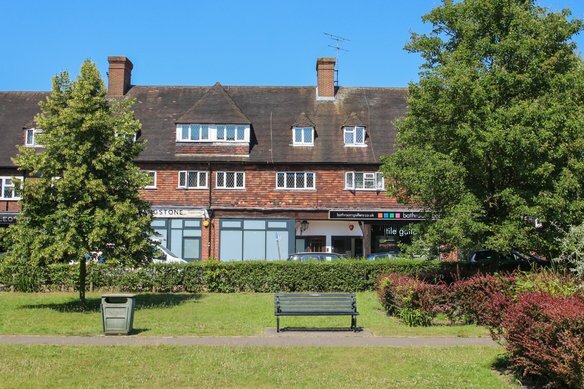 Cobham High Street is within 2 miles and benefits from a range of shops and boutiques.